A-Ok English on Instagram and Facebook. It'll be a homemade Miso class on July 28 near Tsutaya Nakamama shop. If you're interested in, please let me know. I'll invite Kamimachi Miso shop person as a instructer. This shop is running 4 generation, it is one of the tradional Kochi shop. It'll be a good experience for you. I'll try to translate from Japanese to English. If you understand either English or Japanese, I'm sure you'll enjoy it. Price for instructer: share with people who join it. If you are interested in, please send Owen an email. Indian Movie at Atago Theater! 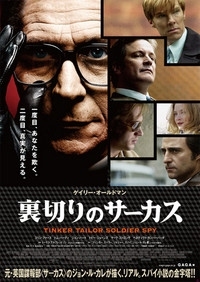 There is a famous Indian movie at Atago Theater あたご劇場 from 5/26 until 6/7. The Name is "Om Shanti Om" and it has many famous Indian movie stars! It is a romantic comedy. MAYBE we can go together on Sunday 6/2. A-Ok Exclusive: "Om Shanti Om"
Wine chat + sakura + shakuhachi = good! We began wine chat outside. We went to a small park with nice cherry trees. But it began to rain. So we returned to A-Ok around 8pm. But Dan (from USA) had some shakuhachi. We will do wine chat tonight. But everyone said they want to try cherry blossom viewing お花見 o-hanami so we will. 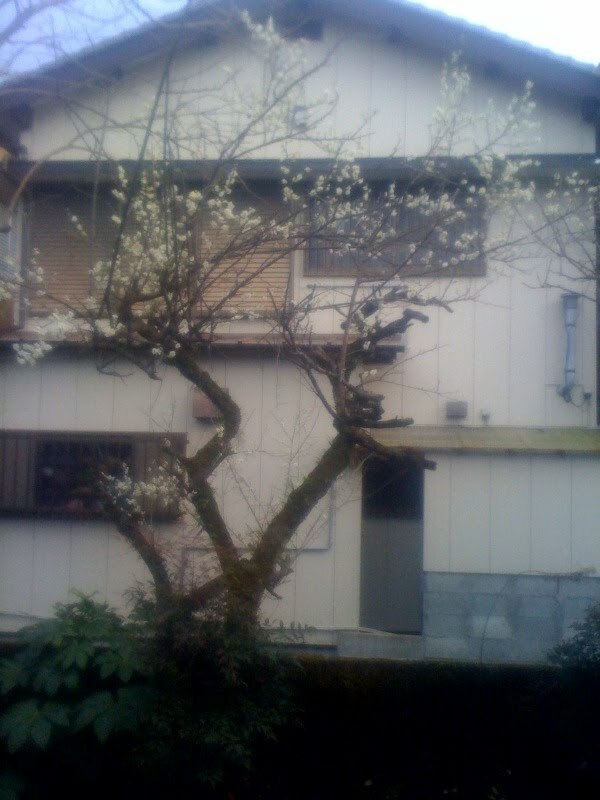 Here is my plum tree on Feb 2nd, over a week ago. 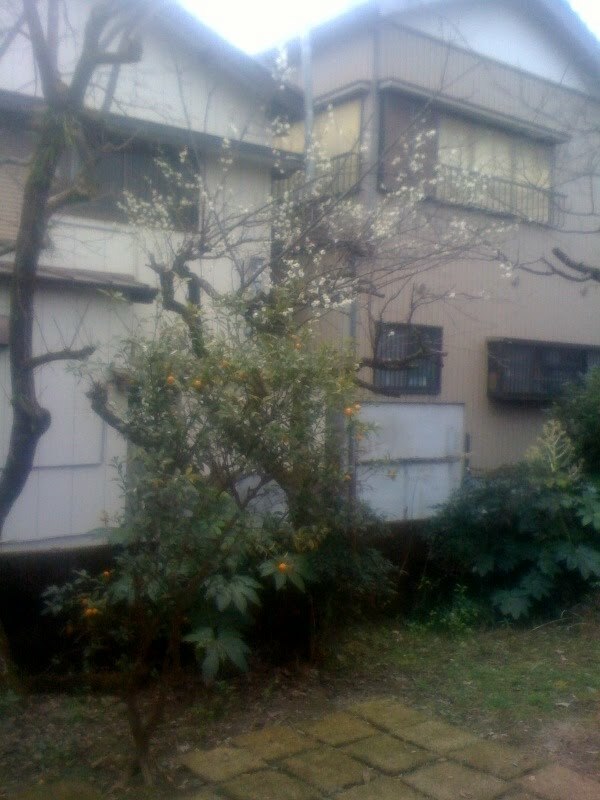 It's still cold but there are many flowers. Here is one from the next day, plus "kinkan" or Kumquats. I think this is from Feb 7th -- but I don't remember. Putin with Santa costume. He looks like Superman. He smells like Superman's underpants. Now it's February but the photos were taken in December. Stinky posing with her Santa costume and the Xmas tree. 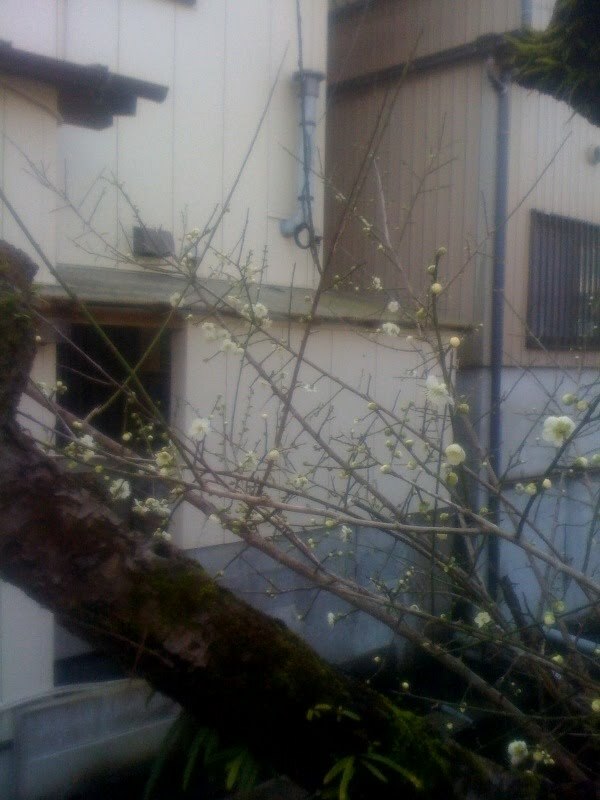 It's very cold but my plum tree has some flowers.